I have already done a few DIY posts (see below) but I don’t get tired of looking for new ideas to inspire me. Each one of us has old clothes or clothes we have worn so many times that we are sick of them, don’t we? So get inspired, renew your old stuff and refresh your wardrobe just by using great DIY ideas and following some easy steps. It may take a little bit of your time but at least it won’t cost a fortune! Have you ever seen the Charlotte Olympia Kitty Loafer? It’s so cute, I really loved the idea. These flats cost around $600 but if you don’t want to spend that much of money on them, just try the DIY version. 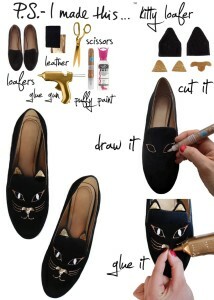 All you need is a pair of loafers, leather, scissors, glue gun and puffy paint. Lovely idea! 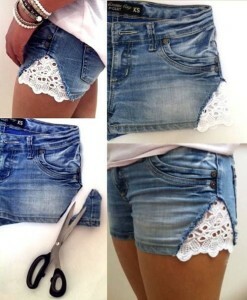 If you like shorts you will love this idea, really easy and looks great! This sweater is so cute! All you need is a sweater and a beautiful appliqué… et voilà! You can try this idea on other clothes too, there are so many different appliqués that you can try on clothes, sweater & co.
What about adding fancy sandals to your shoe collection? This ideas is really great – and easy! 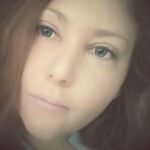 You can go with your mood and change it as you please! 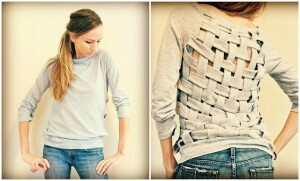 One of the greatest idea is the simple top with a twist. It is a bit time comsuming but the result is great, don’t you think? What about the brassiere-blazer look? 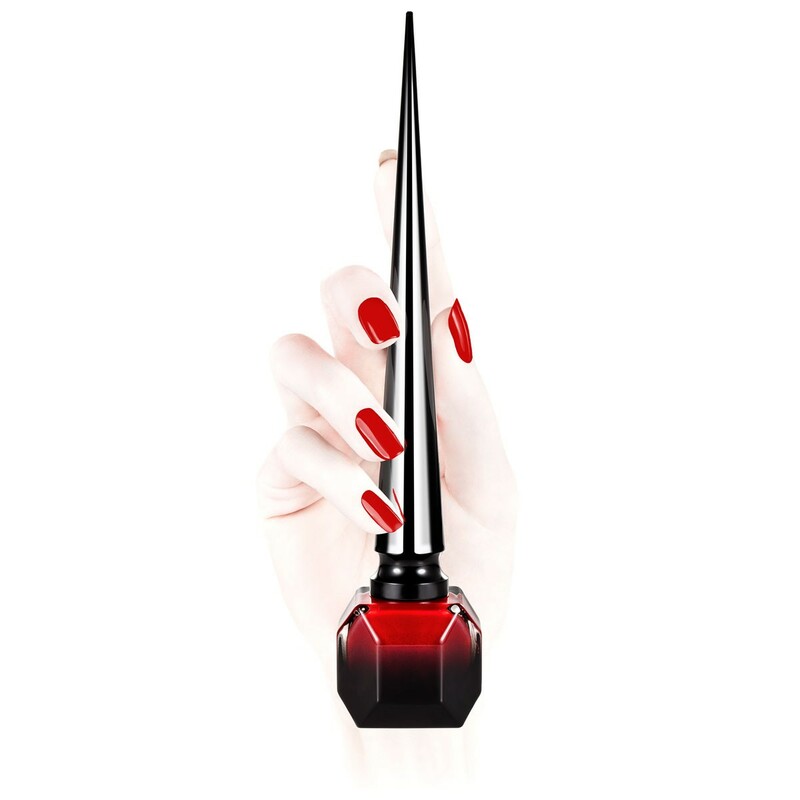 It is easy to do and looks amazing as well, perfect for an evening outfit. What about these great ideas of how women can wear men shirt? 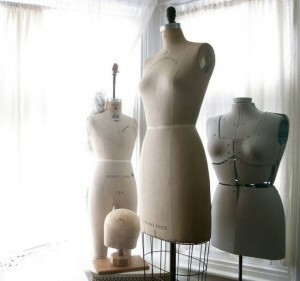 So cutting, no sewing! Great DIY tutorials. 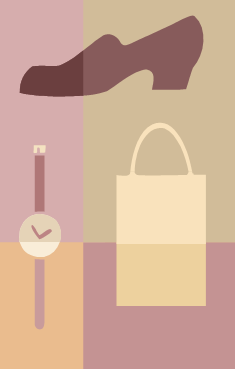 I believe so much in finding a way to recycle; whether that is by donating clothing or consigning. DIY is also another terrific way of recycling. Great ideas! Thanks for stopping by! You have a great artist in yourself. You have made a really awesome looking oufits and footwear. Thank you for sharing a very valuable information to us. I will definitely to create for me as i’m not much creative I know it will not look as cool as you had created. I’ll sure update this kind of stuff in my collection soon so you can even earn money for your creativity. Check this website http://www.gkfashionstore.com for collection of dresses, handbags and footwear products for womens. sɦout out from Huffman Texaѕ! Just wanteɗ to tell you kеep up the fantastic job!